Home Alcoholism and Alcohol Addiction Alcohol Abuse FAQ What Is a High-Functioning Alcoholic? When most people think of an alcoholic, they picture someone who drinks around the clock and is unable to manage their own affairs. They might be homeless, have lost their job, or sit in a bar all day nursing drink after drink. The reality is that not all alcohol abuse fits this mold. Some people are alcoholics by definition but are still able to keep the outside appearances of their lives intact. Experts refer to these problem drinkers as “functional alcoholics.” If you think that you or a loved one might be a high-functioning alcoholic, here is a quick definition and some tell-tale signs, as well as how you can get started with alcohol treatment. A high-functioning alcoholic is a problem drinker that could be hiding in plain sight. A high-functioning alcoholic is pretty much how it sounds. These problem drinkers are able to keep their careers or home lives together as they continue with their alcohol abuse. High-functioning alcoholics might be successful in business or pillars of the community, but they drink enough to have an alcohol dependence and often conceal how much they truly consume. 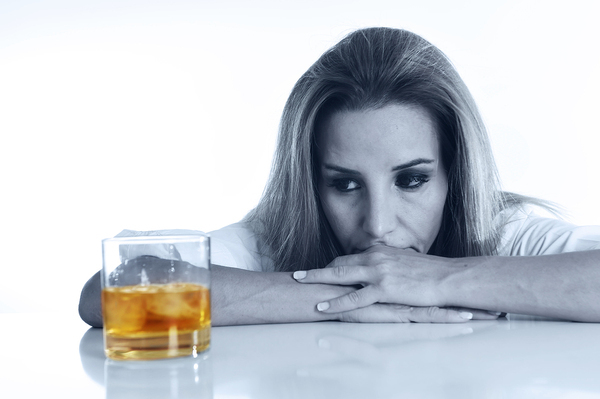 It is no easy thing to keep it together on the outside and maintain an alcohol addiction. According to one study from Columbia University, just 3 percent of alcoholics (9 million people) are considered high-functioning. What Are Some of the Signs of High-Functioning Alcoholics? The challenge with a high-functioning alcoholic is that he or she usually will not have the severe consequences associated with alcoholism. This includes such things as legal and financial issues, family or work problems, and severe health issues. At some point, drinking will likely catch up with this person, but it could take years, and functional alcoholics are masters at the art of denial. They become irritable or restless when they are unable to drink. They would rather have a few drinks instead of a meal. Stopping at one or two drinks is next to impossible. They refuse to discuss their drinking or become angry when it is mentioned. They can always conjure a “reasonable” explanation for when and why they drink. They hide their alcohol or attempt to conceal how much they are drinking. Sometimes getting help for a functional alcoholic presents some unique challenges. Make no mistake – alcoholism in any form is deadly. Whether a functional alcoholic or not, this is considered a chronic and progressive disease which could be fatal if not treated. A high functioning alcoholic can quickly turn into a low-bottom drunk, who has multiple DUIs, lost jobs, and cirrhosis of the liver. It is certainly more difficult to get this message through to a functional alcoholic, but not impossible. Sometimes an intervention is necessary to show the alcoholic how his or her actions are affecting loved ones. When the alcoholic is ready to get help, there are alcohol treatment programs that can address their particular needs. If you or a loved one believe that you are a high functioning alcoholic and are ready to get help, call our toll-free number to learn about admissions and our alcohol treatment programs now.